Farmaban | What is latex? Latex products can be classified into two groups: natural rubber materials and synthetic rubber materials. 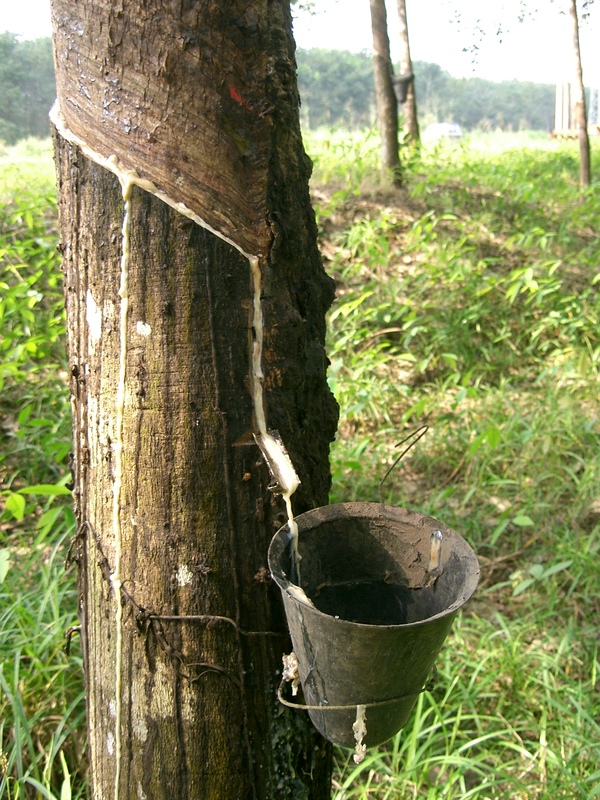 Natural rubber is obtained mostly from the regular incisions made on the bark of certain tropical species, although 99% of industrial production is extracted from the Hevea braziliensis tree native to Latin America, Africa and Southeast Asia. The milky aqueous suspension is known as natural latex contains a mixture of specific hydrocarbons, rubber, proteins, organic resins, minerals, water and other chemicals minority. Chemically, natural rubber would be the cis-1 ,4-polyisoprene. Attempt to mimic the structure and properties of natural latex, the industry has developed special synthetic material artificially (commonly called synthetic latex) with numerous industrial applications. Are usually obtained from simple molecules (which are subjected to treatments of physical (heat, temperature and mixing), chemical type (addition of additives) or both at once, achieving organic synthetic macromolecules natural behavior similar to natural latex. This transformation process is called polymerization.